Seed in Group 4 with North Korea, Italy and Chile, the 1966 World Cup was the tournament which the Soviet Union team reached their best result by finishing in fourth place. In all three matches first round stage, the Soviet Union team managed to defeat their rivals. Quarter-finals the Soviet team then defeated Hungary, but their success was ended by two defeats on 25 and 28 July, against West Germany in the semi-finals and Portugal in the third place play off match, respectively. 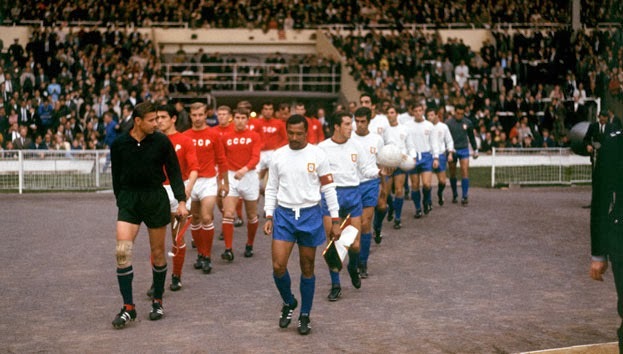 Soviet shirts compliment with the alternate sock against Portugal, third place match 28 July 1966.